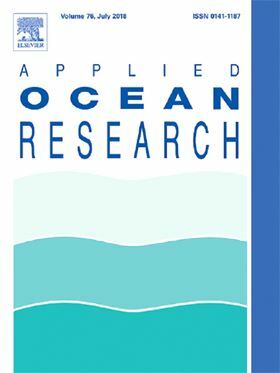 The research article 'Effects of operating parameters and injection method on the performance of an artificial upwelling by using airlift pump' has been published in Elsevier journal Applied Ocean Research. Artificial upwelling by using airlift pump is considered a sustainable way in actualizing ocean fertilization, which could potentially alleviate the pressures on the fish stocks and human-driven climate change. However, few experimental data about the effects of operating parameters and injection method on the performance of the airlift artificial upwelling were found in the literature. In this paper, an airlift pump for artificial upwelling was investigated through three field experiments, in which airlift pumps of pipe length ranges from 20 to 28.3 m and pipe diameter ranges from 0.4 to 2 m, were designed and tested. Pumped water flow rate and injected air flow rate were measured to study the effects of different factors on the performance of airlift pump. The experiment results show that airlift pump efficiency is closely related to pipe diameter, submerged depth, submergence ratio and nozzle designs. There is no best nozzle for all the range of air flow rate, and the recommended nozzles are double-ring-shaped or star-shaped nozzles when the air flow rate is less or more than 220 L/min, respectively. Moreover, the lift effectiveness increases when the hole size of nozzle is enlarged, which indicates a relatively large bubble size will enhance the lift effectiveness. A thermofluidic pump driven by the engine coolant heat instead of electric energy was used to replace the mechanical pump. This study analyzed the looseness failure between impeller and shaft.